Our product range includes a wide range of precision wool felts. For our prestigious clients, we have been able to bring forth an enormous range of Precision Wool Felts for Automobile Industry. Our workforce utilizes their expertise for designing this wool felt so as to maintain set industrial standards. This wool felt is provided within diverse sizes, shapes as per market preferences. 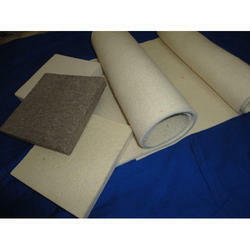 Along with that, the offered wool felt can be purchased from us at affordable rates.